I am a practical person. I know that wedding invitations get thrown away. Normally my practical side would kick in and say “Justine, you don’t need fancy, customized invitations, just get that print at home kit from Wally World and get on with your life.” But it turns out that invitations were something that was really important to me. I saw them almost like advertisements for our wedding. The cooler they were, the more people would want to make the long haul to the “Most Magical Place on Earth” to see us get married. 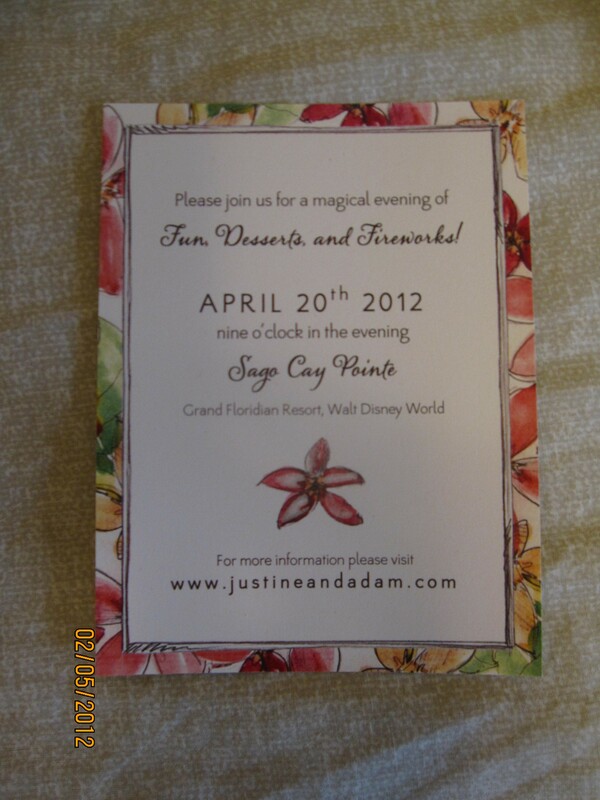 So, I started poking around the internet looking for custom invitations. 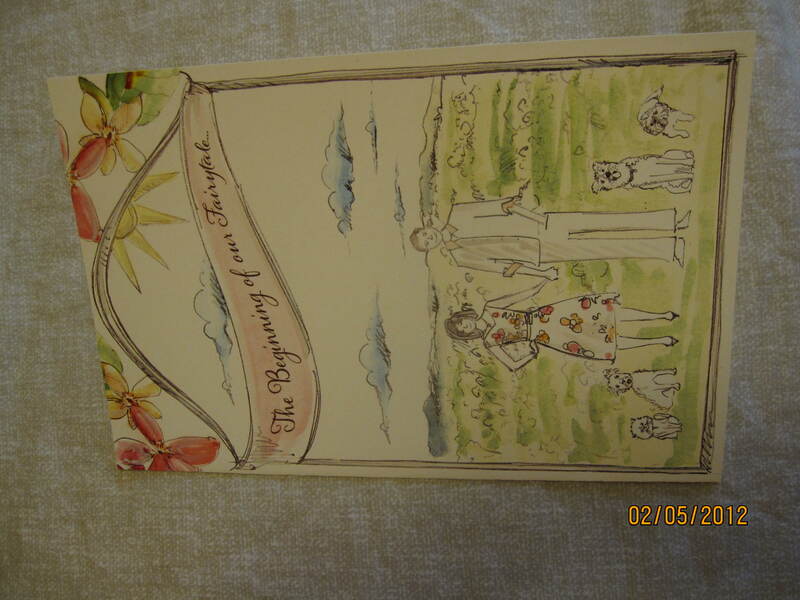 I wanted something that really depicted “us” as a family—myself, Adam and our furkids (3 dogs, 1 cat). I found one company but they were really slow getting back to me and even with being comfortable spending a higher amount; they were still pushing my budget. So, I googled some more (key words: custom hand drawn invitations) and combed Etsy and one day I stumbled across Momental Designs. I loved the way their website was laid out. It has lots of example of their works and I really clicked with their “Sketched” collection. I also appreciated that they provided a price range for each collection. There’s nothing worse than finding the perfect item only to find out later it is out of your price range. I sent an email and within a day I had a phone conference set up with their main designer/artist, Kristy Rice. She asked me some basic questions about what I was envisioning and I told her about our wedding vibe. 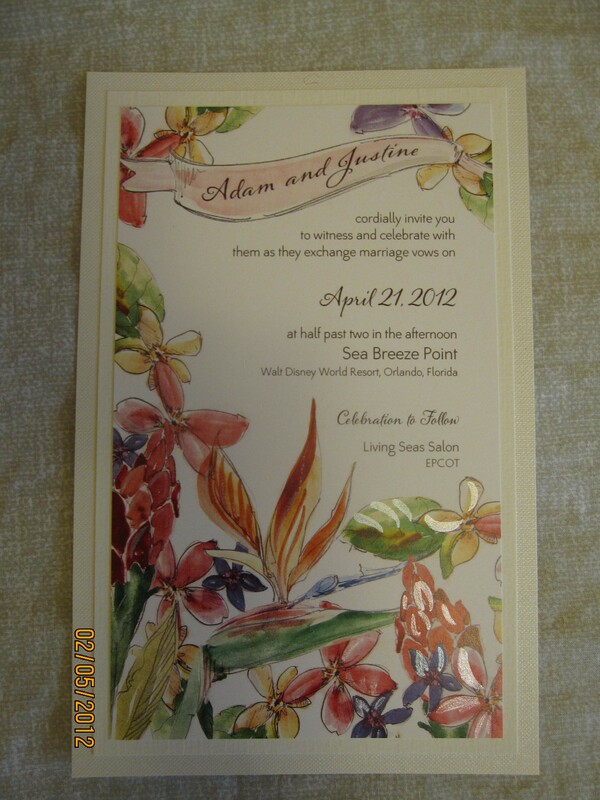 At this point we paid a deposit fee of $200 for their time in creating our invitation artwork. This is a flat fee and does not go towards your purchase. We also signed a basic contract and I sent her a link to an online photo album that had a few pictures of myself, Adam and the furkids. She said she would work on a first draft and have it posted on the blog in about a week. At this point we were a little under a year out, so although I wasn’t in a hurry, I appreciated their promptness. After the initial contact with Kristy, the rest of my communication was with Kelley her assistant. I always received a reply to my emails within 24 hours unless it was the weekend. We received our first draft on time along with a brief questionnaire about what we liked and what we didn’t. There were a few things that needed to be fixed (Adam look like Zack Morris and not himself) and I wanted more color on the outside folder and darker purple flowers on the inside. Other than that we were happy. They made those changes quickly and then we were kind of in a holding pattern until after our planning session. Once we were back from the PS and we had all of our events finalized, we worked with Momental to do our enclosures. They were really great about making sure all of the pertinent info was included. When we were finally ready to order, we paid an extra fee to have them ship us a hardcopy. They offer a digital proof option for free. We had three different people read over it; we initialed each page and then it back to Momental. They had to receive this back before they would move forward on our printing. We paid the rest of our balance; they printed out all the pieces and shipped them to us. They arrived all nicely packaged and waiting for us. They do offer addressing services, but Adam has really nice handwriting so he did that himself. Overall I had an excellent experience with Momental Designs. I loved how prompt they were and their prices, while somewhat high, were worth it to me because they provided everything I wanted: an invitation that was all about us.